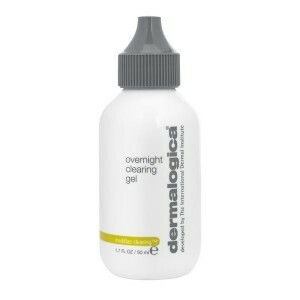 Dermalogica MediBac Overnight Clearing Gel helps prevent further breakouts and blemishes. Overnight Clearing Gel clears congested follicles, controls sebum (oil) production, eliminates bacteria, and calms inflamed skin. Tea Tree reduces bacteria and helps heal skin while Green Tea soothes irritated skin. Botanical blends are used to stop overactive sebaceous activity and purifies skin.